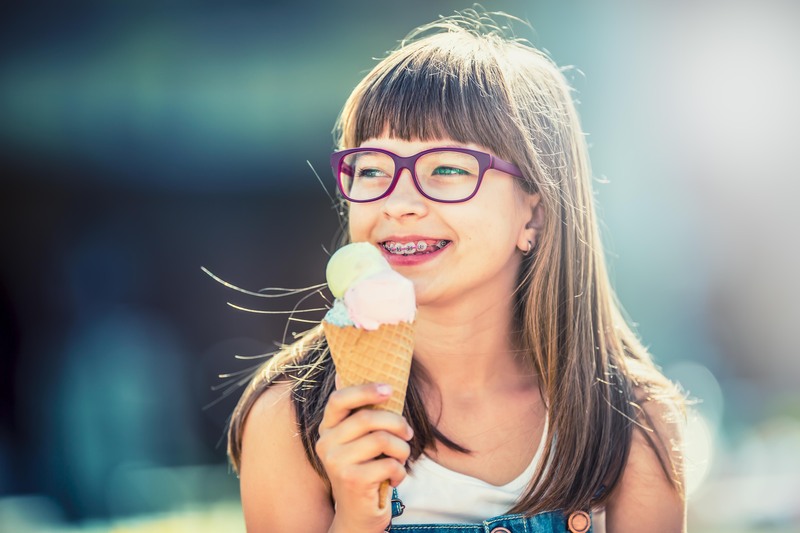 The following are common questions and terminology most often asked about possible orthodontic treatment. An x-ray of the head that shows if your jaws and teeth are aligned and growing properly. The first step in making a model of your teeth. You bite into a container filled with a rubber type material, and that material hardens to produce a mold of your teeth. Orthodontic treatment that is usually done between the ages of 6 and 10. The objective of interceptive treatment is to provide orthopaedic intervention, so that later orthodontic treatment goes quicker and is less painful. These records, which include cephalometric and panoramic x-rays, digital photos and study models, determine what treatment needs to be done. A procedure to measure how well your teeth come together. You bite a sheet of wax and leave bite marks in it. This helps the orthodontist relate the upper and lower models of your teeth together. Easy-To-Tie Ligatures are small rubber bands designed with a 45-degree bend that are hooked on brackets to hold the archwire in place. A metal wire that is attached to your brackets to move your teeth. Bands are the larger metal rings that are sometimes placed on back teeth for strength and anchorage. Brackets are the small metal or ceramic modules attached to each tooth. They serve as guides to move the teeth and hold the archwire in place. The brackets used in orthodontics today bond directly to the teeth with a tooth-colored bond adhesive. They are much smaller and lighter. The Damon Bracket utilizes (sliding door) technology known as "self ligation" that allows the wire to slide back and forth within the bracket. No elastic or steel ties are used with Damon brackets. This technology creates less friction and results in greater comfort for the patient. In addition, Damon braces often reduce both treatment time and the number of adjustments that are usually performed. This appliance is usually attached using stainless steel crowns. Metal side bars and some front braces are often part of the appliance. Some appliances may have an expansion screw in the middle of the palate to help widen the upper jaw. By using a series of clear, removable aligners, Invisalign straightens your teeth with results you'll notice sooner than you think. The course of treatment involves changing aligners approximately every two weeks, moving your teeth into straighter position step by step. Module A small plastic piece, shaped like a donut which is used to hold archwires in the brackets on your teeth. Lip bumper is used to push the molars on your lower jaw back to create more space for other teeth. The lip bumper consists of an archwire that is attached to a molded piece of plastic. You mount the archwire in the buccal tubes on your lower jaw, the plastic piece rests against your lips. When you eat or talk, you push the plastic piece back, which, in turn, pushes your molars back. A device that is used to protect your mouth from injury when you are participating in sports. The use of a mouthguard is especially important for orthodontics patients, to prevent injuries. A device used to make your jaw wider. A gadget that the orthodontist gives you to wear after your braces are removed. 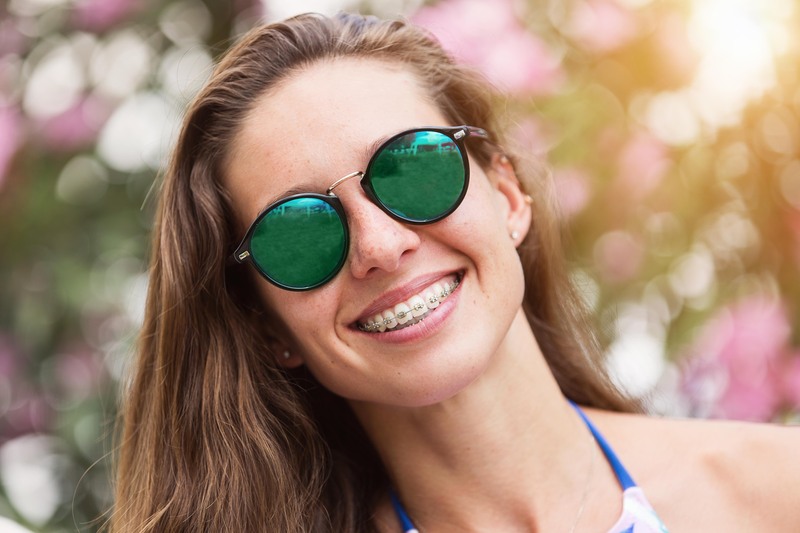 The retainer attaches to your upper and/or lower teeth and holds them in the correct position while your jaw hardens and your teeth get strongly attached to your jaw. At first, you wear the retainer 24 hours a day, and then only at night. The schwartz Appliance is a functional appliance used to expand the upper and/or lower dental arch by stimulating growth of the bone in width. Once widened, the suture knits together. The schwartz Appliance is prescribed only prior to the completion of growth. The The schwartz Appliance is adjusted daily as instructed, until the palate has been widened enough. It is then left in place for about four months without further adjustment while the bone fills the centre palatal suture or healing occurs. The Twin Block is made up of an upper and lower plate which works together to correct the bite. It is like wearing two appliance that work together. One fits the upper jaw and the other fits the lower jaw. They work together to bring the lower jaw forward. Crooked and crowded teeth are difficult to maintain and clean, leading to such problems as tooth decay and gum disease. A bad bite can cause abnormal wear on tooth surfaces and difficulty in chewing and speaking. Prominent teeth are more prone to trauma and breakage. If you are not confident in the way you look, your self-esteem suffers. A beautiful smile enhances one's appearance and confidence. Without treatment, problems may worsen, proving to be more costly and serious in the future. Most of all, successful orthodontic treatment involves you. To achieve our desired results, you need to come to appointments regularly, diligently follow our instruction for wearing orthodontic appliances (braces, Invisalign, elastic wear etc) and practicing good oral hygiene. The Doctor will provide you with braces, retainers or other corrective appliances which use gentle pressure to move your teeth and jaws into their proper positions. Each case is different, but patients generally wear braces or Invisalign from one to three years. Your treatment time will depend on the severity of your problem and how well you follow our instructions. Once braces are removed, most patients will wear retainers throughout life to keep their teeth in their new positions. This will all be discussed with you at your complimentary new patient exam. Your orthodontic treatment is an affordable investment that truly pays off. The actual cost will depend on various factors, including the complexity and severity of your jaws, and tooth position and the required length of your treatment. Various treatment options will be discussed with you and fees will be quoted. We accept assignable orthodontic coverage, do small downpayments and interest free monthly payments in an effort to make orthodontics affordable as possible. Every smile is unique and for that reason we do not quote fees over the phone. 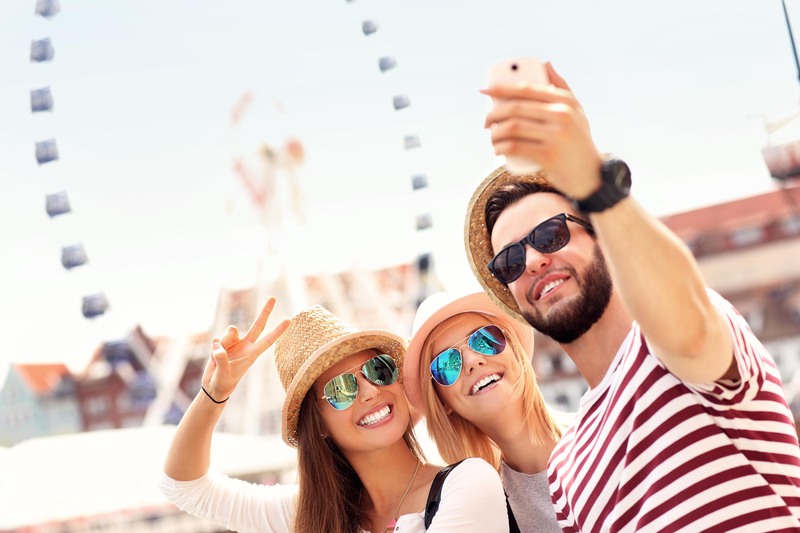 Our orthodontists need to see your bite to provide accurate and specific information regarding exactly what your orthodontic options are.